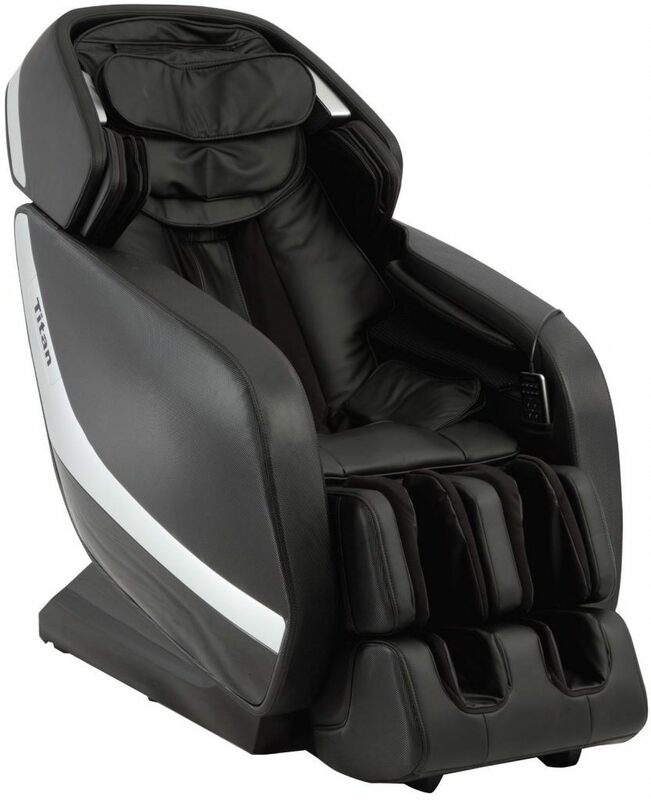 Do you know how many Titan massage chairs models are currently selling? Just a bit shy of 70 , but plenty of older models are still available. I will try to make your life easier by helping you navigate through the best massage chair models from Titan / Osaki brand in 2019. I spent some time talking to experts online and by personally visiting showrooms in California. 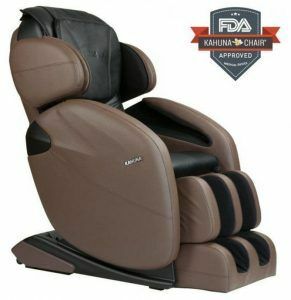 I’ll list 18 Titan massage chairs in this article, but, since there’s no such thing as a perfect brand, I will offer some great alternatives from the other reliable brands such as Kahuna, Luraco, etc. 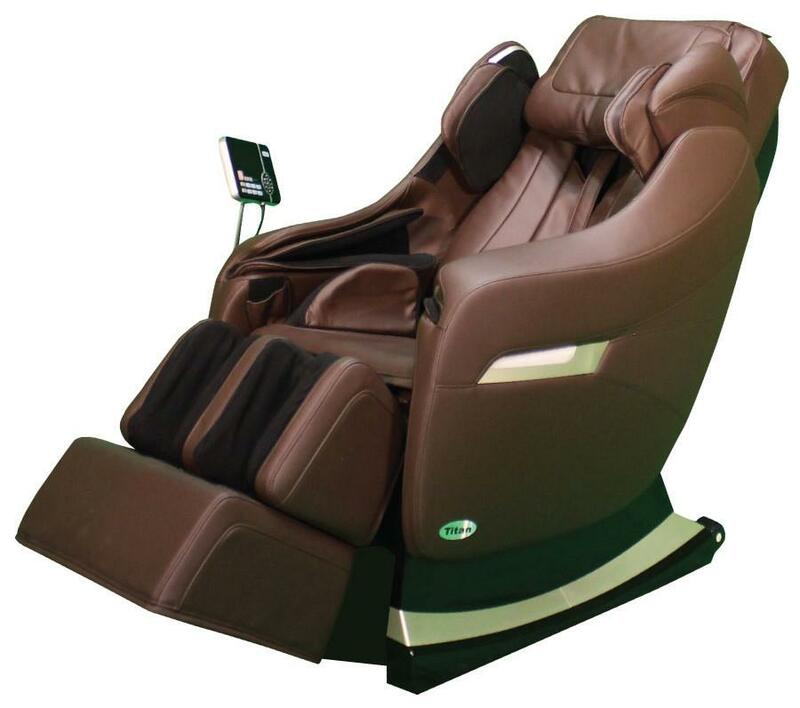 Titan LLC (Osaki/Titan) is among the leading massage chair distributors, differentiating itself from the competition by the fact that it delivers affordable and high-quality products. 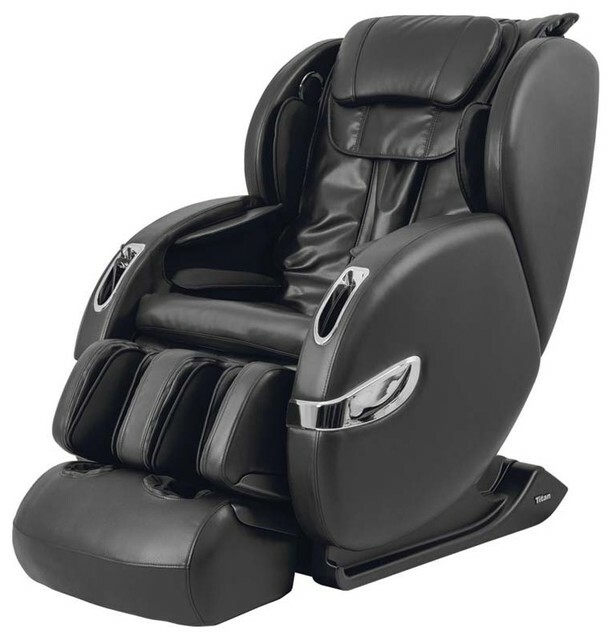 The Titan Quality shines over the Osaki massage chairs brand too because now they’re the same. 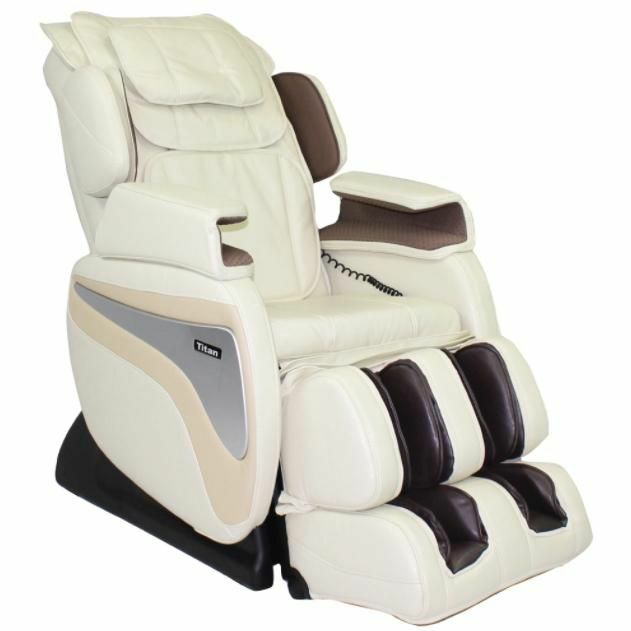 Osaki comes with the advantage of low prices considering the chairs are manufactured in Chine, while Titan comes with the advantages of experience in massage chairs and top quality craftsmanship. Keep in mind that there are only few other reliable brands in the current market worth considering such as: Infinity (link), Human Touch (link), Brookstone (link). Titan Pro Alpha sports a new arm design, space-saving technology, and Bluetooth speaker connection. The L-track design (ltrack roller design) helps to massage your glutes, and the 2 stages zero gravity positions are the best to take the pressure off your spine. There aren’t as many massage techniques, just Kneading, Tapping and a combination between these, plus the more advanced Shiatsu technique. On the other hand, the memory function allows the chair to remember your customized options. We like the computer body scanning system, as well as the dual action foot rollers which feel very life-like. There are 6 built-in massage programs, including Express, Wholesome, Oriental, Swedish and Classic as well as the therapeutic Chiro. This is a comfortable chair, and we love how supportive it is thanks to the back pillow, which also reduces the massage intensity that’s quite vigorous for L-track chairs. The adjustable shoulders is another advantage because it can fit people of different statures. Other great features include the lumbar, heated back pad, easy-to-reach side control panel, LCD monitor, and 28 airbags. Even though other models sport more airbags, the Titan decreased the number of airbags but increased their volume to cover your whole body and even out the pressure. Summary: A highly therapeutic chair at an affordable price, Titan Alpha could benefit from more included massage techniques. The first difference is that Kahuna 6800 sports the hybrid L/S track design, which combines the comprehensive glute and thigh massage courtesy of the L-track with the ergonomic shape offered by the S-track. Kahuna also boasts three zero-G positions and 36 airbags for the air massage mode, which you can set at three intensity levels. 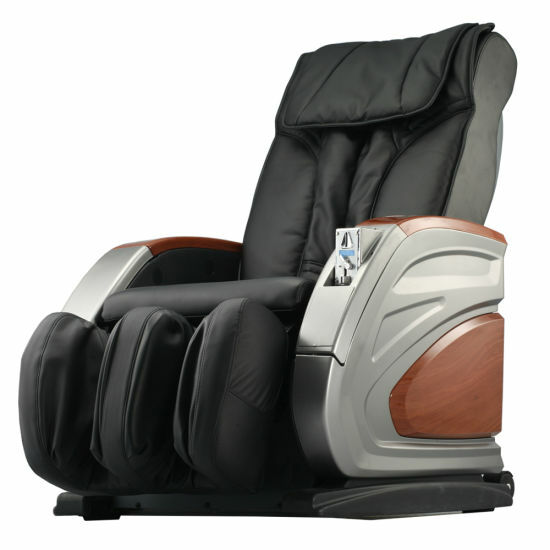 In terms of massage options, the Kahuna 6800 offers the same massage techniques as the Titan Alpha, plus Rolling. The zone massage option for a fixed spot, the back and calf heat, the extendable ottoman, plus the body massager stretch are additional benefits. Otherwise, both chairs have a space-saving design, 3D body scanning, calf and foot massage, and an easy-to-use remote. The advantages of Titan Pro-Alpha over Kahuna 6800 are its Bluetooth connection and its memory function, which make the user experience better. Summary: A truly great therapeutic chair with plenty of options, the Kahuna 6800 could only be improved by an added music system. Titan Lucas sees a price increase when compared to Titan Pro-Alpha, which explains some additional features, like the extendable footrest or the convenient remote pocket. 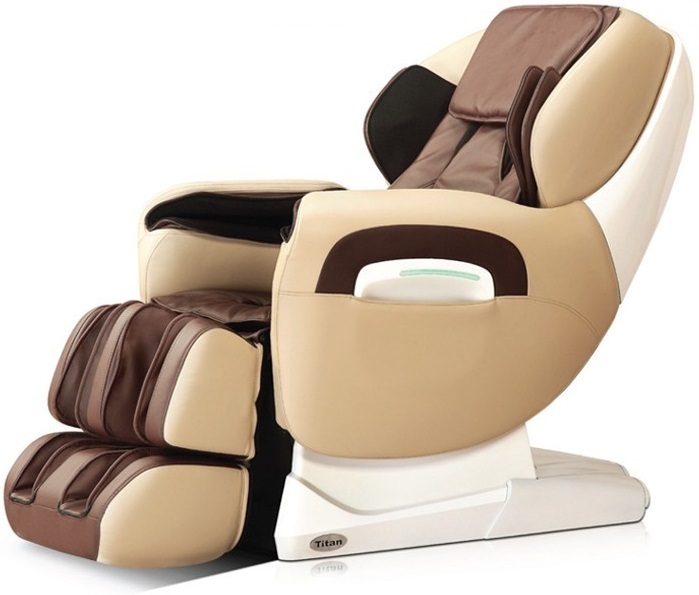 Titan Lucas boasts a customizable calf massage, where you can adjust the chair to get a calf-only massage, and 7 built-in massage auto programs that include Quick, Relief, Stretch, Full-Body, Sleep, Yoga and Full-Air. Otherwise, both chairs include a computer body scan massage system, L-track rollers,zero-gravity, and Bluetooth connection for a speaker. The Titan Alpha also has the much-needed memory function. On the other hand, the TI-7700 offers a hip and seat vibration, outer shoulder and arm massage. There are two extra massage techniques for this chair, like Palm and Punching. But there are just 5 pre-set programs for the TI-7700, no music and no memory function. Cloud Comfort sports two models: with or without a seatbelt. This is an inversion comfort chair that’s therapeutic, reducing blood pressure and spinal pain, which helps with recovery after surgery. 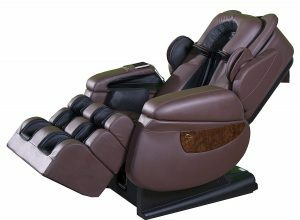 Another difference when compared to the Titan Alpha is the auto-recline, considering that this is a full reclined chair, its 3 intensities and 4 positions for the vibration massage. Both chairs sport a zero-G position, but the Pro Alpha has more techniques, massage options, air massage mode plus the memory function. On the other hand, TI Cloud Comfort has incorporated speakers, not just a Bluetooth connection. The TI Comfort 7 has an S-track design, which gets to the sacral bone, but doesn’t offer a glute and thigh massage. However, it’s more affordable (cheaper chair) than the Titan Alpha TI; sports a power recline on both the footrest and back and seat vibration massage. Otherwise, the Pro Alpha comes with the advantage of a better computer body scan, a bigger remote, two more pre-set programs plus a better air massage thanks to more airbags. The Comfort 7 has two additional manual massage modes: Swedish and Rolling, plus a Zone massage. 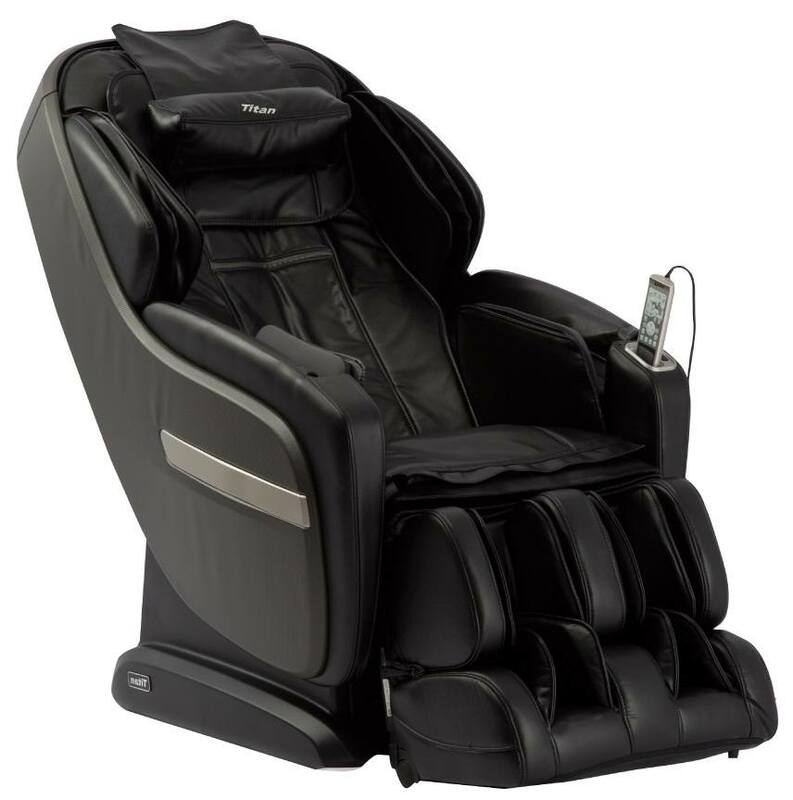 Just like the Titan Alpha, the TP-Pro 8300 sports zero gravity, full-body air massage, foot rollers, and heat therapy. However, this model includes a deep tissue massage that’s more vigorous and no shoulder restrictions whatsoever. Besides, the stretching program is another benefit, but there is no built-in music system and no memory function for the TP-Pro 8300. 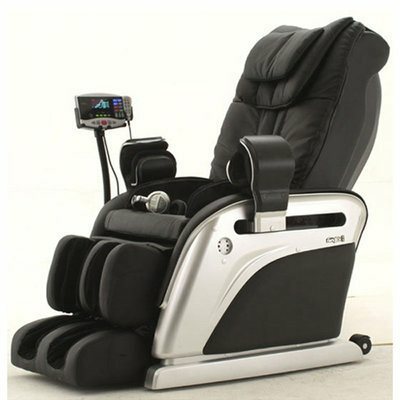 This is a massage chair for public use, to it’s coin-operated, easy to program, sports control dollars and minute, but you have to pay extra for white glove delivery. It’s easy to program, just like the Pro Alpha, but it has a more durable synthetic leather cover. Besides, with a steel frame and plastic-covered armrests, the chair is sturdy and low-maintenance. The symmetric six-wheel massage roller and auto-recline are top advantages of the RT-M01 over the Titan Alpha. However, this chair has an S-track design, so no glute and thigh massage doesn’t have a Shiatsu massage and no music system. 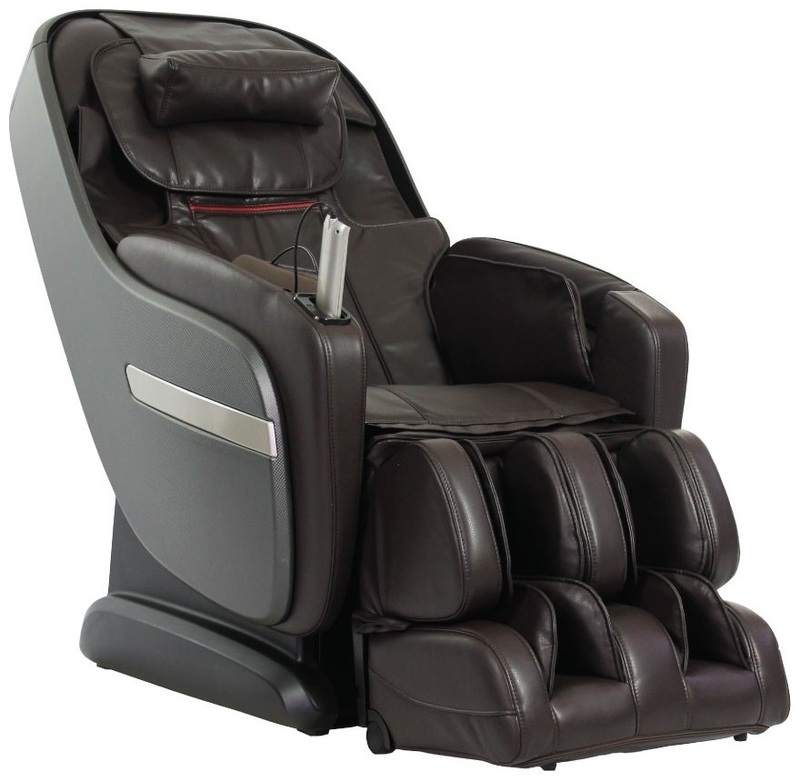 Just like the RT-M01 VENDING, the RT-M02 model sports a symmetric six-wheel massage roller, S-track design, auto-recline, synthetic leather, and low-maintenance design. 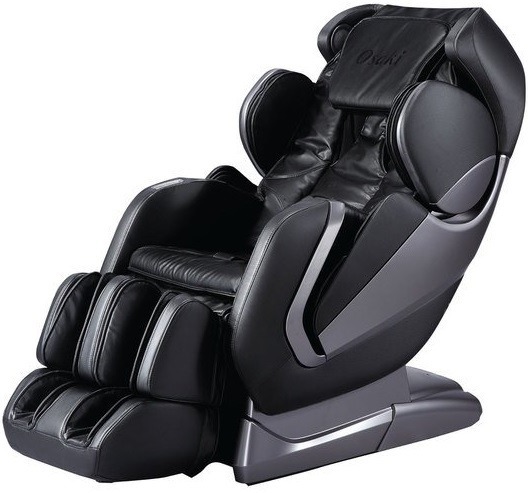 However, much like the Titan Alpha, it offers people Shiatsu and air massage. However, there’s no music option, no glute and thigh massage, no lumbar heat, and no zero-G. The Titan TI-PRO comes with some amazing features, like the S-L massage track that’s anatomical and offers a complete massage experience all the way to your hamstrings. This chair features a body scan massage, but you can adjust the starting point if you’re not happy with what the computer selected for you. The dual foot roller massage harnesses the power of reflexology and acupuncture, which means you’re getting a deeper massage. There are 6 manual massage modes: Kneading, Tapping, Rolling, Combo, Shiatsu, and Punching. We love the air massage, with adjustable 5-level intensity, especially when it comes to the waist airbag squeeze that twists your waist. 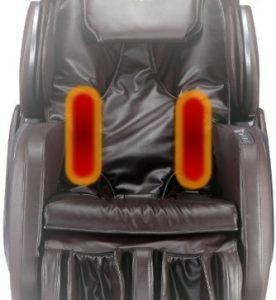 But this chair also has shoulder heating, upper arm, shoulder and hand massage, seat vibration, lumbar heating, plus a foot and calf airbag massage. Other than that, the remote is easy to use; there’s a USB charging station, the TI-Pro Summit has a space-saving design, plus a free 10-year warranty. That said, the only disadvantages are that the PRO Summit doesn’t have a built-in music system or a memory function, but these don’t affect the overall functionality of the chair. Summary: The TI Pro Summit offers a comprehensive massage for inner balance, but the shoulder heating is its top feature. 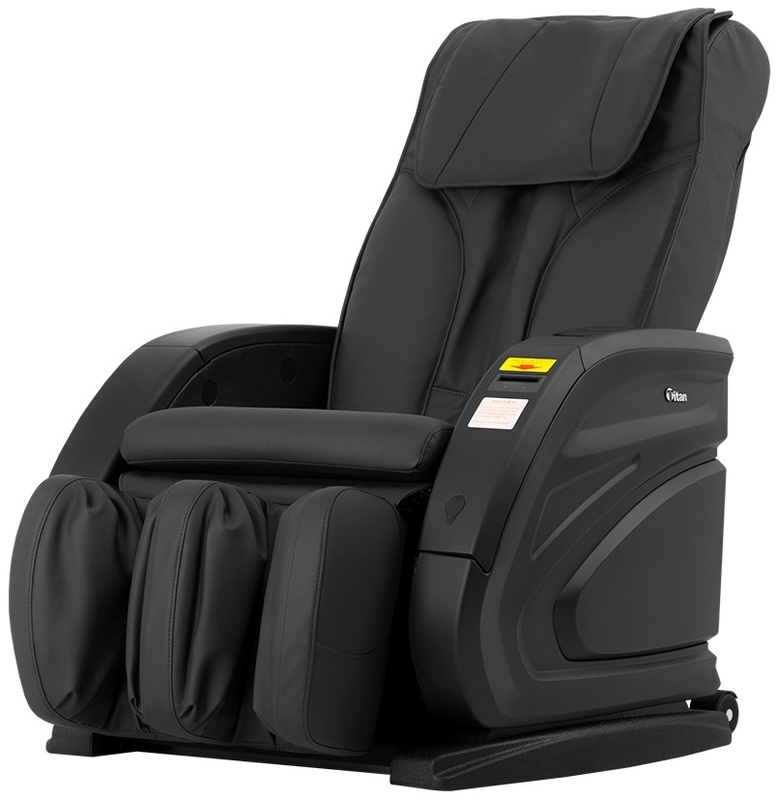 There are some areas where the Luraco i7 Plus can be considered a better chair, especially considering that’s a therapeutic massage chair, listed with the FDA, CE, and UL. Both the i7 and the Summit offer zero-gravity seating for positive posture, and dual foot rollers. The i7 comes with some design extras, like the extendable ottoman, music support and a memory function. It can even monitor your blood pressure! In terms of massage techniques, the i7 offers the additional Swedish, but this is comparable to the Summit’s Punching. Although the i7 doesn’t offer shoulder heat, it boasts foot and calf heat, and it can air massage your upper body. However, the i7 comes with a 5-year warranty instead of 10. Compare the PRO Jupiter with the Summit and what do you get? This chair has an L-track instead of a hybrid track, but it can accommodate bigger-sized people, not just petite users, it features 2 zero-G positions, Bluetooth connectivity, and head air massage. Both chairs feature dual roller design, body scan, and lumbar heat, but the Jupiter lacks shoulder heating. This is the chair to buy for its top foot massage, but also because it features lumbar and knee heat. With Bluetooth music player and 3D massage rollers, 61 airbags, and 3 memory slots, it can be considered an improvement as to the Summit. However, the Summit offers the best shoulder heat massage ever! 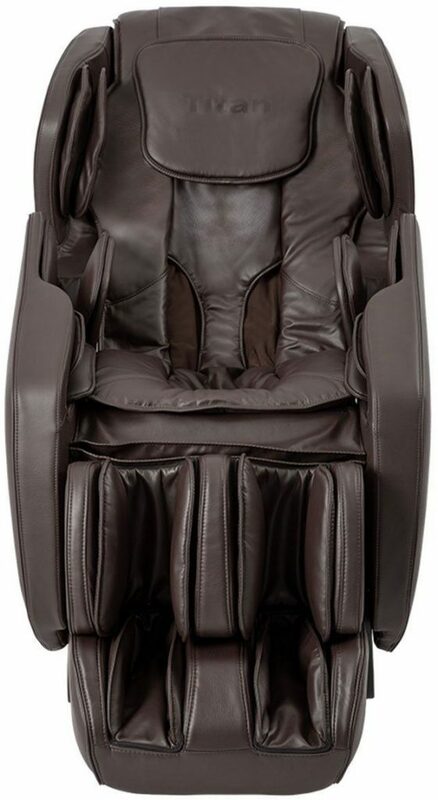 With an L-track design that offers a complete massage from neck to hamstrings, 2 zero-G positions, lower lumbar heat technology, auto recline, leg extension, and complete body scan, this chair can offer a truly personalized massage. 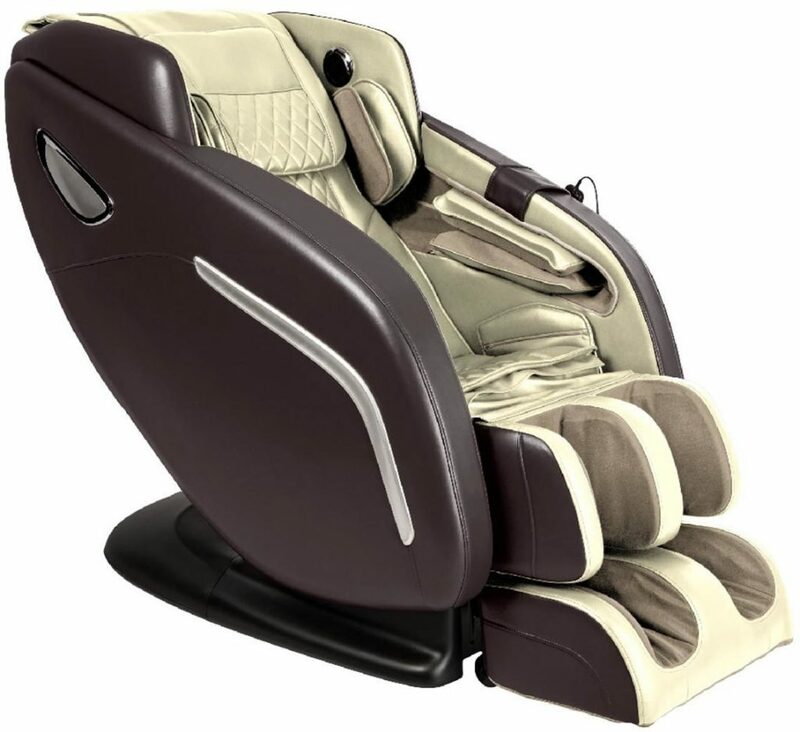 The Alpine offers outer shoulder massage, dual-action foot rollers, air feet massage, auto leg scan, plus an airbag massage for your whole body, including a hip squeeze and twist. 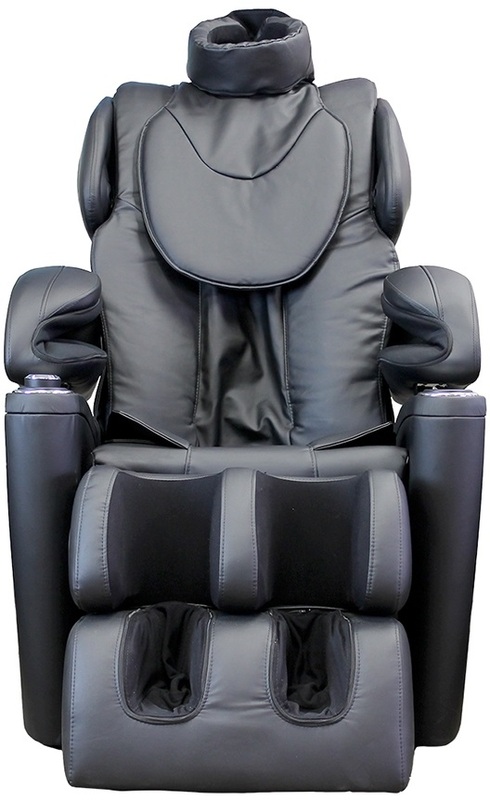 This chair is perfect for larger and taller people, it boasts 6 massage techniques that include Kneading, Tapping, Shiatsu, Rolling, Punching, and Combo, plus you can adjust the massage intensity. However, there’s just a 1-year warranty for in-home service and 2 years for the parts, though you can get an extended warranty. Summary: Although it has no extraordinary functions, the Alpine offers therapeutic advantages such as 2 zero-G positions and hip squeeze. Just like the Alpine, the TI 8700D has 2 stages zero-G, dual foot rollers, lower lumbar heat and offers an outer shoulder massage with basically the same massage techniques. However, it boasts hip and seat vibration, but the air massage is not as good as that of the Alpine. Just like the Alpine, Regal 2 offers an L-track, back heat, and outer shoulder massage. 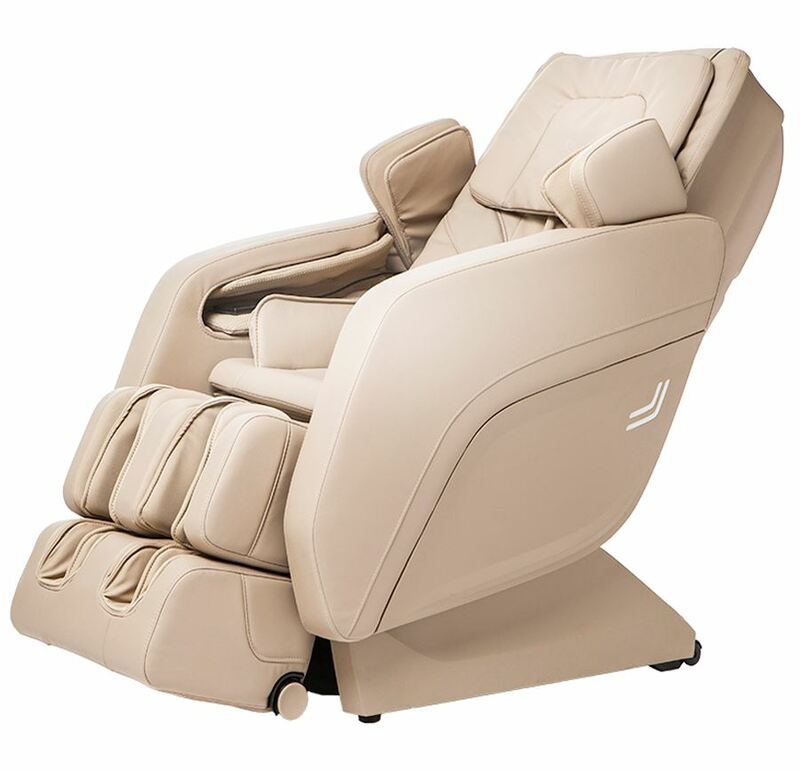 However, it boasts a deep tissue massage, built-in speakers and an adjustable footrest. The disadvantage is that it only has one zero-G position, no hip squeeze and no feet air massage. 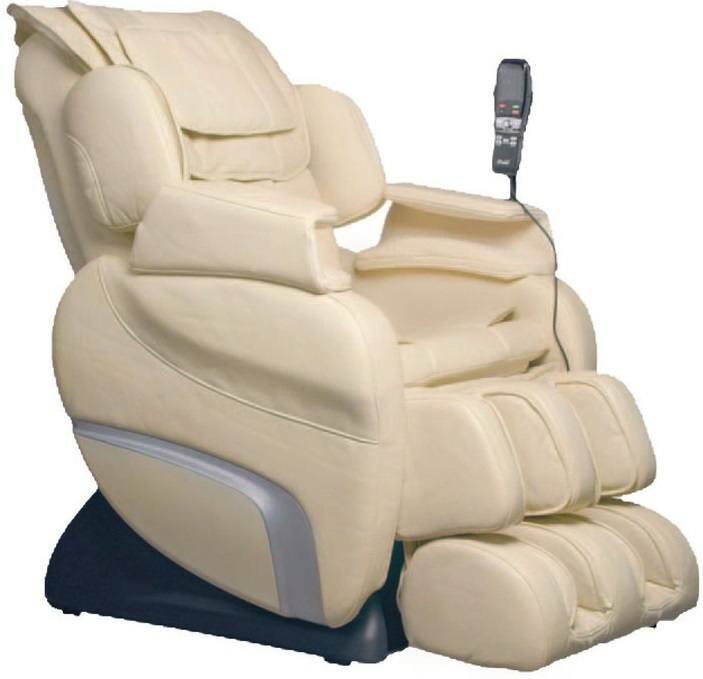 This model features just one zero-G, but it has all the other characteristics of the Alpine, including arm massage, foot rollers, intelligent leg massage, and 6 massage techniques. The extras are the great head air massage and Thai Stretch. When compared to the Alpine, the TP-Pro 8400 has some similar features, like 2-stage zero-G, L-track, auto-recline, and dual foot rollers. However, this model has ankle knobs for a better foot massage but offers no outer shoulder massage or hip twist. The top two advantages compared to Alpine are chromotherapy and 3 built-in memory programs. Otherwise, the Alpine offers a better air massage, with more intensity levels, lumbar heat, hip squeeze, and a more comprehensive foot massage. 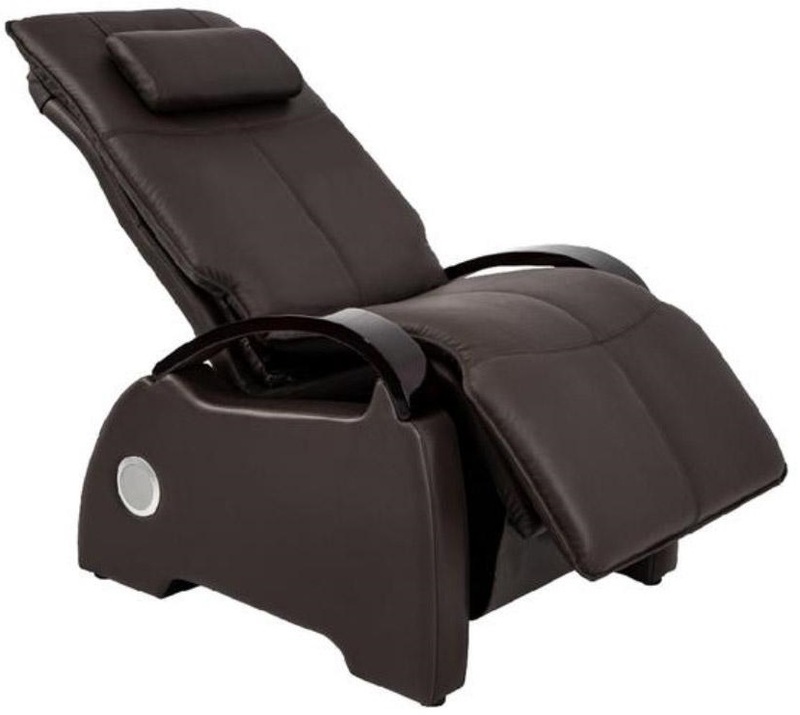 This user-friendly chair features a built-in MP3 player, 11 motors for a powerful massage, 6 rollers, neck massage, and intensity-adjustable air massage. However, it has an S-track that, although extended, can only reach your tailbone. Still, as opposed to Alpine, it features foot heat and some advanced massage modes, like Wavelet, Pummel, Rhythm and a zone massage mode. 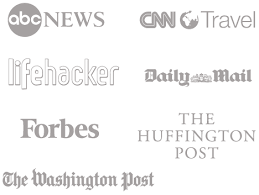 The most trustworthy places to buy Titan chairs online are the Titan website and Amazon. 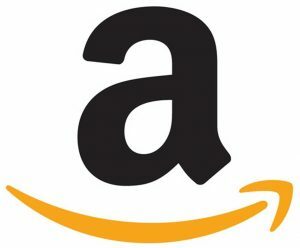 However, Amazon might offer a better shipping policy, sales tax in some states, and better returns. Make sure the website where you order your perfect chair has good customer reviews, though. Otherwise, you might receive a used chair, no warranties or no return options. The best Titan chair under $2000 is the Titan Pro Alpha because it’s therapeutic, it offers a great neck massage and has a comfortable back pillow. 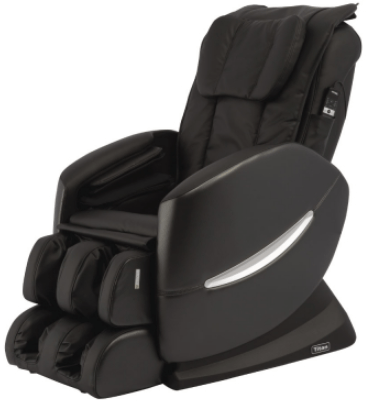 With a hybrid massage track, shoulder heating and top air massage, the Titan TI-PRO Summit the best in the over $3000 category. The middle price range offers TI-Alpine as the top option, with 2 zero-G positions, air feet massage and hip squeeze. Still, there are plenty of other options, and we made 20 massage chair comparisons in this article, so we’re sure you’ll find the right chair for your needs. Now it’s your turn: which chair are you going to choose and why?